Department of Computer Science of Nowrosjee Wadia College is the oldest and most renowned department offering Computer Science Education under Savitribai Phule Pune University. It has been a pioneer in this field and continues to lead in Computer Science Education. B. Sc. (Computer Science) – formerly known as B.C.S. (Bachelor of Computer Science) and post-graduate courses M. Sc. (Computer Science) and M. C. A. (Science). The faculty members are well qualified, dedicated, focused and highly motivated. They work consistently to take this Department forward. Many staff members have published several books and also hold positions in several college and University level committees including Board of Studies, syllabi revision committees, paper setting and evaluation panels etc. The Department has state-of-the-art laboratories, classrooms and a large stock of books in the under-graduate as well as post-graduate libraries. The Department gives quality education to students as well as work for their overall development. The students of the Department are in high demand by IT industry due to their strong academic foundation combined with excellent technical skills. The Department puts in special efforts for the Placement activity for undergraduate as well as postgraduate students. Several known IT companies visit the campus every year. To name a few are Infosys, Wipro, Persistent Systems Ltd, Aftek, IGATE, Quick Heal, Sigma Systems, Omniscient, Spring and EQ Technologies. TechQriosity – The reason for Seminars : The reason for Seminars – Seminars are integral to most academic programs at the department. Seminars are not intended as a mechanism for transmitting information; they serve as a means for groups of students to obtain a set of common experiences. The department organizes this annual post-graduate event to provide a platform for IT experts from the industry and students from all colleges to interact and gain an insight into the emerging trends and technologies. Tech-n-Talent : The department organizes an annual technology and Talent event for its students to showcase their technical and artistic skills. This event includes several events like Programming competition, Project Competition, Poster and Rangoli competition and concludes with a cultural show. ZAROKA- The Wall magazine : The departments most unique feature is the monthly Wall magazine “Zaroka”. This showcases the literary and artistic skills of students and staff. Articles include the categories like Technical, Motivational, Inspirational, Humor and Artwork. Faculty Development Workshops : The department regularly conducts various workshops to improve the skills of the teaching faculty of the department as well as other colleges. This includes Syllabi implementation workshops, NET/SET Training workshops, Thesis writing workshops and such. A National Conference on “Emerging Trends in Soft Computing” was held from 1st to 3rd February 2011.This conference was a huge success. The Department recently celebrated its Silver Jubilee by organizing several programmes and events the year round. The celebrations began with a glittering inauguration function which was graced by distinguished luminaries like Dr. Shevgaonkar, the then V.C. of Savitribai Phule Pune University, Mr. Vivek Sawant, Managing Director of M.K.C.L. The Former Head of the department, Dr. (Mrs.) Shailaja C. Shirwaikar is M. Sc in Mathematics, Ph. D. in Mathematics. She is a recognized M. Phil. and Ph. D. guide in Computer Science for the Savitribai Phule Pune University. The Department was a recognized research centre for M.Phil. by Yashwantrao Chavan Maharashtra Open University. Several students successfully completed their M.Phil. courses from this centre. Prof. Poonam Ponde has completed research on “A Cloud Based Framework for Education Services”. Prof. Reena Bharati has completed research on “Enterprise Metadata Management using MOF based tool’, which was funded by BCUD. 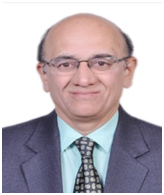 Prof. Nanda V. Ranade works on development of Electrical Impendence Tomography system for innovative application. This is a new technique to having internal images of any object by externally measuring potentials over the surface of object. It consists of developing hardware and reconstruction software. Mr. Nimkar has teaching experience more than 28 years. He has written books in Mathematics, which are used by students of Computer Science. His areas of interest are Discrete Mathematics, Graph Theory, Algorithms and Formal Concept Analysis. M. Sc., M. Phil (Electronics) Ph. D.